One of the biggest educational obstacles the residents of East Los Angeles have is access. Access to good schools. Access to resources that will help their children learn. And, often, access to the educational leaders who can help change the system to benefit all students. That’s why I was so encouraged by what I heard and saw at the latest Great Public Schools Now Town Hall earlier this month at East Los Angeles College. Nearly 300 people attended the event to learn about Great Public School Now’s mission to increase the number of high-quality schools, and about a dozen of the parents were also able to discuss their concerns with the educational system with L.A. Unified Board Member Monica Garcia during an open microphone session. 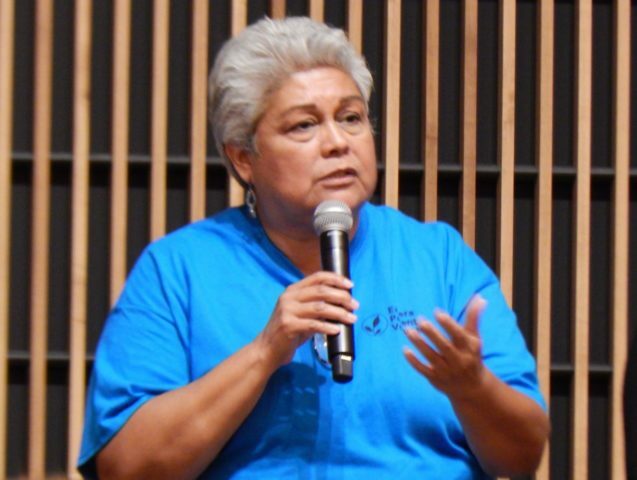 Board member Garcia has been a long-time educational champion for the entire city and works very hard to be accessible to her constituents, but it can be difficult for parents to share their concerns with her and other elected officials. L.A. Unified Board meetings are usually on Tuesday afternoons, when most parents are working, so Saturday was a rare opportunity for many of the parents in the audience. During the open microphone session, parents spoke eloquently about not just wanting to see their children finish high school, but graduate with honors, or their concern that their children wouldn’t get of the wait list for a great school, or their worry that there weren’t enough high-quality school choices in the area. Even better, Board Member Garcia had the time to respond to their concerns and explain her vision for L.A. Unified. At a time when honest, civil dialogue in our country is becoming increasingly rare, it was refreshing to see public servants and their constituents interact. Those exchanges can point officials and educational groups in the right direction; Great Public Schools Now funded $900,000 in teacher retention grants and $1.5 million in a school replication program after hearing from the public at some of their other Town Halls. I hope to see more of these kinds of interactions at Great Public School Now’s next Town Hall, which will be scheduled in August. Such dialogue is the foundation of democracy and can only help improve the educational landscape for all this city’s children. Kudos to Mónica García for taking the opportunity to listen, and to parents for taking the time out of their busy schedule to make sure their voices are heard.